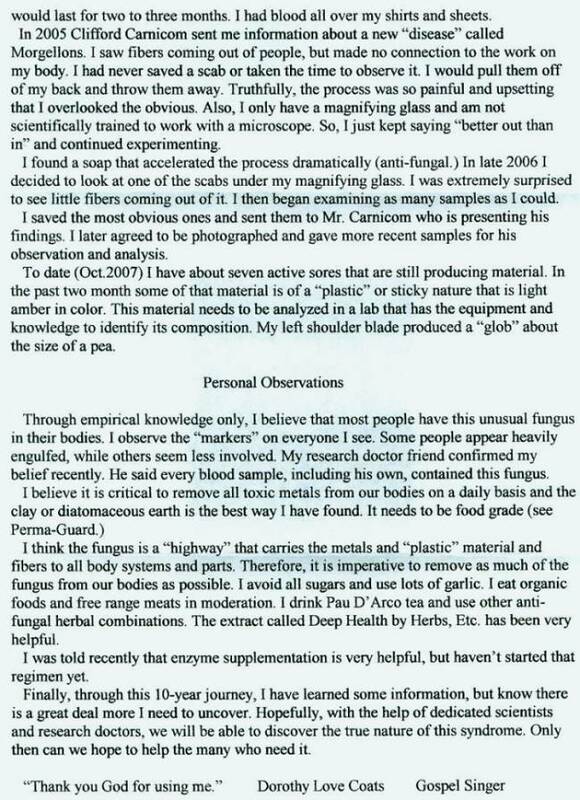 A second subject has presented samples and symptoms of the Morgellons condition to me for observation. The results of this work completely and absolutely confirm the internal morphology of at least one form of the fibers that are commonly associated with it. There are important additional discoveries that establish the urgency of discovering the true nature of this condition. The progress to date remains totally unsatisfactory as this condition represents a public health hazard that has been deliberately unaddressed and undisclosed. The quest for the nature of this condition does not belong in the hands of any single individual, citizen, advocate or health professional; the consequences are far too widespread for that limitation. This is a public issue and must ultimately be addressed as such. The condition may be much more widespread than is commonly understood and there is evidence accumulating to that end. 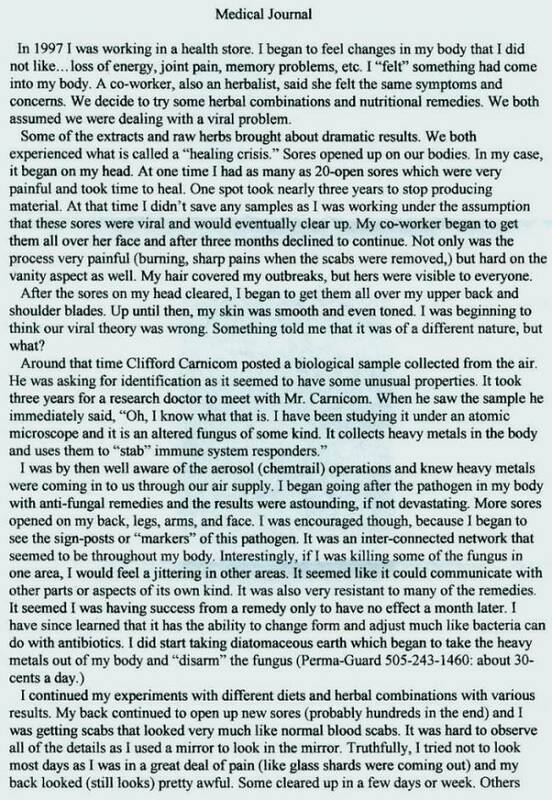 Gratitude is extended to those that have presented numerous important research advances on Morgellons, particularly the laboratory analyses from Dr. Hildegard Staninger. There are other deserving contributors to the current state of knowledge. Unfortunately, the implications of this condition require a more broad-based public and professional medical involvement. It is a fact that government institutions and agencies that are chartered to serve the public interest continue to fail us at a tragic level; the public will eventually be required to take ownership of issues such as this to reach the solutions that are required. 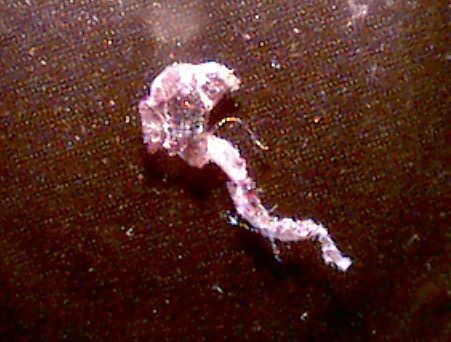 Readers are requested to review the paper entitled Morgellons : First Observations of August 2006 on this site to establish the precedent for the following report. It is the opinion of this researcher that certain discoveries were presented to the public at that time that demanded immediate attention. This researcher does not have the facilities, resources or expertise to make the analyses that have been required for more than one year since the initial disclosures. What I can offer is observational analysis that points to certain needs that must be met if anyone wishes to understand the dynamics of this condition and how it may ultimately affect the public health – almost certainly at the global level. In the absence of additional samples, I have been able to offer no further progress on this issue until now. The need for the understanding of the information in this report is paramount. One has to ask, exactly what progress has been made on answering certain basic questions since that initial report was filed in August of 2006? Does the condition remain in existence and is the distribution increasing? What is the morphology of the condition and how is it positively identified beyond that of chemical analysis? What is the growth cycle? What exactly are the structures that have previously been observed, measured and described? What is the function of these structures? Are we dealing with biological or artificial forms, or both? What are the biological interactions that are taking place? What observations and analyses have taken place and where are these observations documented? What information does the public have, in a venue that serves the public interest, on methods of mitigation, control or remedy of the condition? 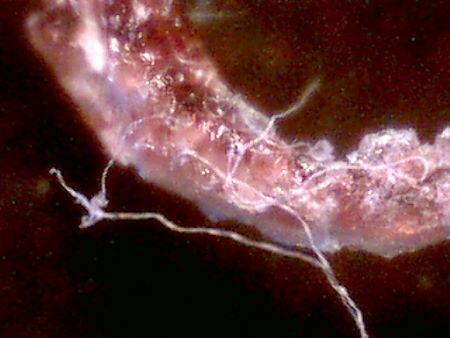 What relationship, if any, exists between the fibrous structures that emerge from the body and the sub-micron airborne fibers that have been reported environmentally for several years? The refusal of the Environmental Protection Agency to identify those original samples several years ago continues to haunt us with the current deficiencies; there is increasing evidence of similarity in both form and chemical composition. The remainder of this paper presents a series of photographs that, once again, portray the reality of this unfortunate condition. The photographs will show a progression from a normal view to a final magnification of approximately 2500x. 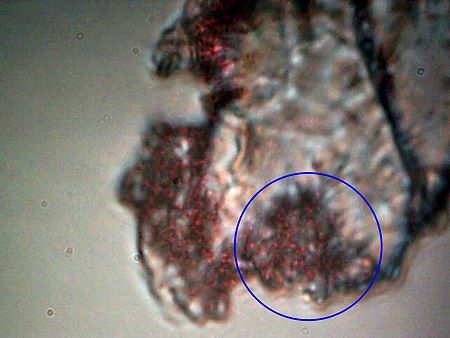 Normal visible light microscopy has an upper limit of roughly 1000x to 2000x; modified modest digital equipment has been developed to provide these images. Several different fibers from the same subject were examined in the writing of this report. It is only at the highest magnification available that the true nature of this condition even begins to emerge. Attention will be called again to meet some immediate requirements for identification and further examination. It is inexcusable to allow this information to languish for another year without more dramatic progress and involvement of medical professionals. Those so-called professionals that continue to categorize this reality as “delusional” are a tremendous disservice to the public welfare, and they are not deserving of any further discussion. The time is already late to get on with the job that needs to be done. It is to be mentioned that at least three other individuals have recently contacted me that show or claim identical physical symptoms; none of these individuals had contact with one another and I did not seek out their inquiries. I have no medical expertise and I claim none. I am offering a series of observations that demonstrate the urgent need to protect the public health and welfare, and it is my hope that you will act upon it. Back of the female subject. Age 59 years. of previous open sores over a period of several years. 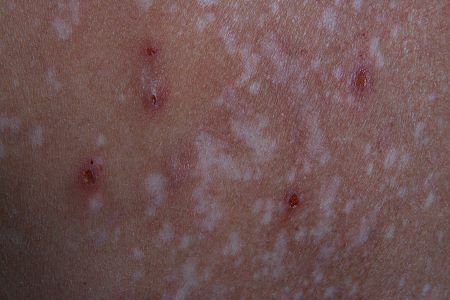 Several open sores remain visible under the current state. The subject has endured tremendous and prolonged pain from the condition. 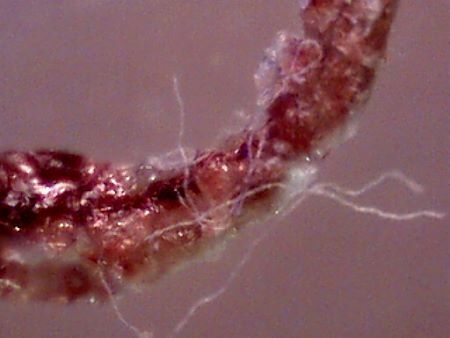 characteristic of the Morgellons condition. Isolated view of current open and active skin sore on the back of the subject. 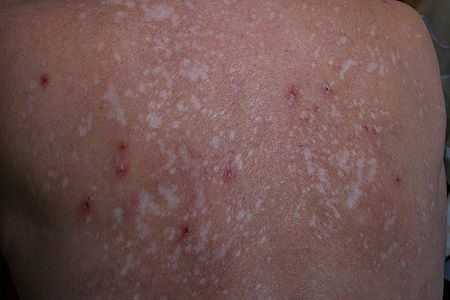 Typical extraction form from a skin surface sore. 10x magnification. The protrusion extends into the skin and is extremely painful to remove. 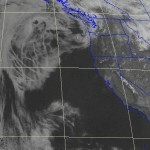 Notice the fibers are visible at this stage and originate from several locations. 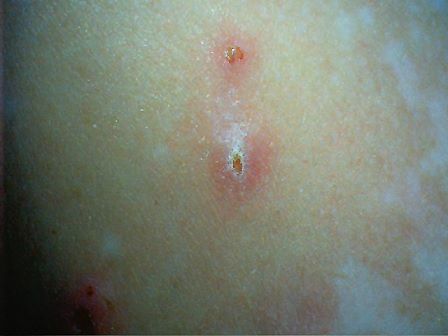 Larger segment of scab material exists at the skin surface. The extraction at a magnification of 60x. Notice the numerous embedded fibers that are now visible. Any similarity to a hair fiber is lost at this point of observation. Top lit view of the extraction at a magnification of 60x. Numerous embedded fibers are visible. 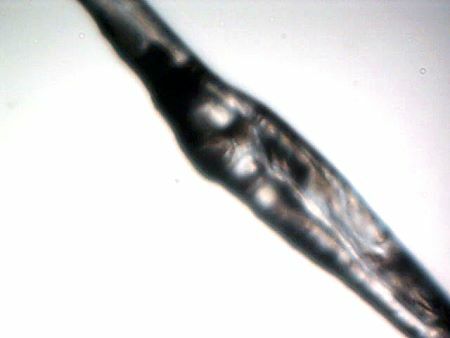 One fiber sample at a magnification of 750x. Notice the internal structure of the fiber that begins to appear at this point. This internal structure is the beginning of what requires further physical examination. as we approach the upper limit of conventional visible microscopy. Width of this fiber sample is approximately 40 microns. (Human hair is approximately 60-100 microns and of smooth structure). Magnification is now at approximately 2500x, approximately twice that achievable with conventional microscopy It is at this point that an important discovery takes place, and this is that the single fiber is actually composed of innumerable sub-fibers (circular enclosure). These sub-fibers measure at 1 micron or less in thickness. Similarity of form with the airborne fiber samples must now be considered, as an identical finding occurs with that previous research. In both cases, what appears at modest magnification to be a single fiber is actually composed of essentially an infinite network of sub-fibers at the micron or sub-micron level. It is at this point that a nano-technology origin can justifiably be considered. This presentation remains dependent and limited by the available microscopic equipment. The sub-fibers must be analyzed in detail and the reports provided. Observation and analysis of sub-micron fibers external to host and subjected to various stimuli (e.g, electromagnetic, chemical) is required. Observations of the sub-micron fibers under live host conditions and appropriate stimuli is required. 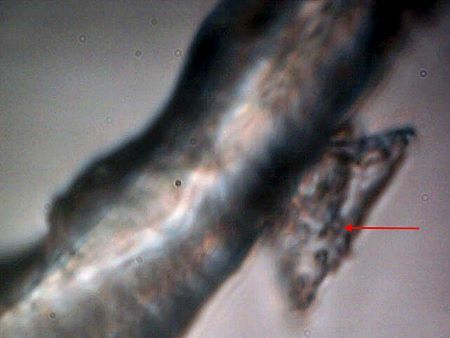 A second potentially important discovery takes place under adequate magnification (2500x). 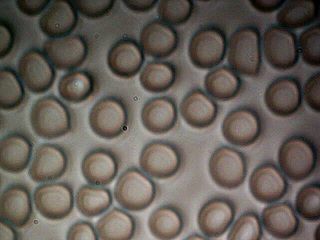 This is the repeated occurrence of an entity, approximately spherical in shape (circular enclosure), that also measures at 1 micron or less in diameter. 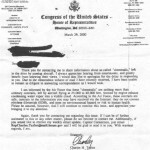 Please refer to the earlier paper in August 2006 for this original disclosure. They are a dominant component of the internal structure and they are not visible except under adequate magnification. These structures must be identified as to their nature, composition and function. A third discovery is also being repeated here (ref Aug 2006). This also is of great potential significance and has strong biological implications. We note again that we have the existence of a “budding” structure. All appearances are that this a growth, extension or regeneration mechanism. It is premature at this point to establish that there is not a biological process taking place within these fibers. All indications are that there is indeed a biological component to the fibers themselves, regardless of any association with any apparent inert forms. 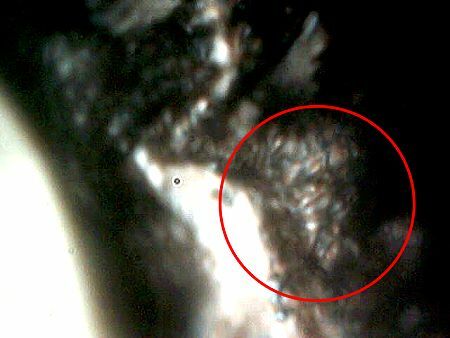 One highly credentialed chemist has observed this particular photograph prior to publication, and a suggestion of fungal hyphae has been offered for consideration. Additional information, when and if it becomes available, will be published on this report. We notice also, in this case, that the budding development appears to encapsulate sub-micron structures (arrow) in a ringed fashion. The nature, composition and purpose of these sub-micron structures must be correlated to those mentioned in the above photograph. 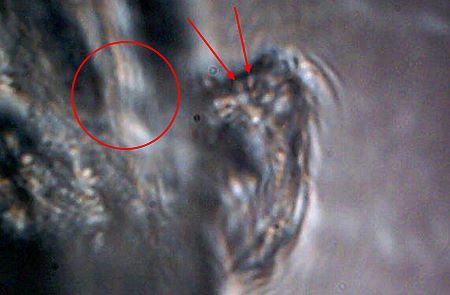 These budding structures occur or are visible on the edge of the fibers in all cases reported thus far, and they do appear to be a branching or “growth” mechanism of some sort. 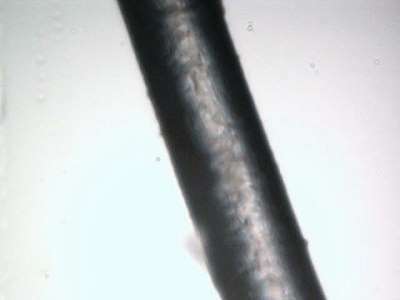 Embedded fibers of the same sub-micron size co-exist with the sub-micron structures within the “budding” form. Magnification 2500x. The budding structures must be identified as to their nature, composition and function. 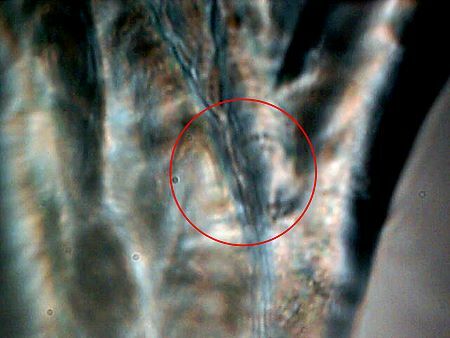 They represent a potentially significant advance in the understanding of the “growth” and development of the Morgellons condition. Fungal forms are at least one consideration in this pursuit. 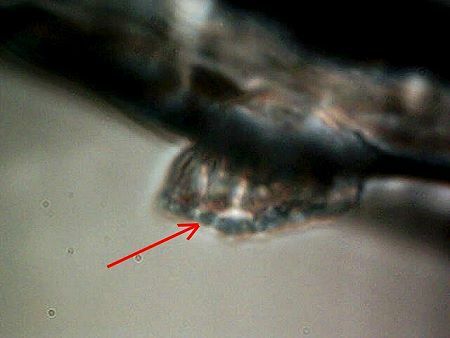 Another “budding” structure identified. Several of these are usually found on any one fiber. Only visible under adequate magnification (2500x). and the sub-micron fiber network (circular enclosure) within the main fiber. as to their nature, composition and function. An additional remarkable “budding” structure of rather high geometric form. Notice repetition of internal structures at the micron to sub-micron level (arrow). The budding structures must be identified as to their nature, composition and function. An important advance in microscopy technique is incorporated within this photograph. Magnification 2500x. Additional research on this method will be presented at a later date. 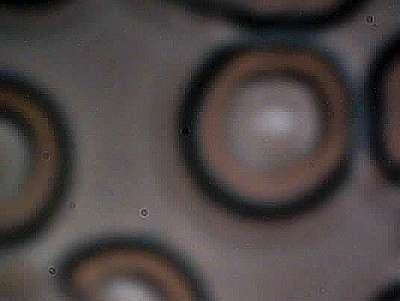 This microphotograph shows the fibrous sample subjected to laser light in addition to conventional bottom-up stage lighting. In this case, the red laser is used in a top-lighting mode. The use of complementary laser lighting can be shown to reveal significant detail beyond that of conventional visible lighting. The sub-micron structure and network becomes immediately apparent with this modification technique (circular enclosure). DO NOT USE THIS METHOD IN ANY WAY WITH DIRECT EYE OBSERVATION OR MIRRORS. LASER LIGHT IS A SIGNIFICANT EYE HAZARD. THIS METHOD IS SUITABLE FOR EXTERNAL DIGITAL OBSERVATION TECHNIQUES ONLY. Attention has been called to the salient points of observation and need. My personal opinions on the failure of governmental and health organizations on this issue have been noted. The need for parallel examination in detail on the airborne fibrous samples refused by the EPA has been stated. There is no suitable excuse or rationale for inaction on the discoveries that have been disclosed. My ability and time to conduct research of this nature remains limited. My appeal to the professional community to serve the public welfare has been reaffirmed. It is quite expected that more capable resources will provide discovery beyond what can be accomplished here. The Morgellon’s condition is a public health concern and issue, and it is that interest that must be served. Those that have suffered, are suffering, and those that will suffer are entitled to be treated with dignity, compassion and respect. We must all act unselfishly to diminish and alleviate this pain, suffering and ill health that we are now subject to. Infinite appreciation is extended to the person that has graciously provided for the observations that are the substance of this report. This paper is subject to future revision. Additional research has been completed and it will be presented as time and circumstances permit. The next presentation will be that of three control photographs for purposes of comparison and to show the capability of the modified microscopy equipment that is being used. THESE ARE FOR CONTROL PURPOSES ONLY AND ARE NOT ASSOCIATED WITH THE SAMPLE MATERIALS IN ANY WAY. The first photograph will be that of a human hair at a magnification of approximately 700 times. The second photograph will be that of a human blood cell at approximately 8600 times; a human blood cell measures on the order of 6-8 microns across. 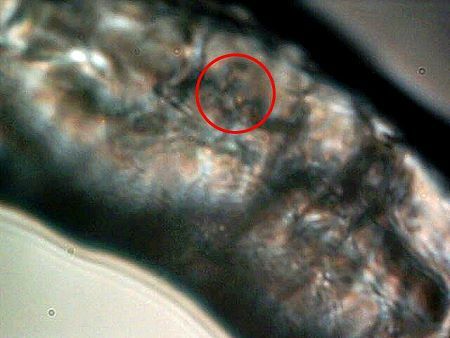 The last photograph is that of human blood cells at approximately 2500x magnification. Blood Cells Measure Approx. 6-8 microns in diameter..